I’ve always been drawn in by the subject of conspiracy theories. I’m not one of those howling-at-the-moon types of course and my mental breakdowns have never yet led me to camp out in the middle of the Nevada desert to seek out just how the US government is working with aliens (a la Robbie Williams). But I do think it’s positive that we have people that question what’s presented to us as truth by government and media. They may not be right and some of them can be pretty wild in their theories but they work quite well as a kind of check on the more questionable events in our crazy world. So when I heard about the documentary The Anatomy of a Great Deception I had to watch. It’s had limited release and very little exposure so far but as of now you can watch it in its entirety here. A brief synopsis. The tragedy of 9/11 was not what it appeared to be. Let me expand on that. Specifically that the twin towers and the less-talked about World Trade Center 7 building did not collapse because of the planes. They were demolished by planned explosions that coincided with the planes. And that being the case, who knew about it, who carried out the explosions and why? Much of the documentary goes into detail about the structure of the buildings and the way in which they collapsed. It debunks the findings of the official report put out t the time by government agency NIST. Much of what’s presented in the documentary isn’t new. The theory of explosives being detonated has been knocking around since the tragedy itself. Check out ae911truth.org and see for yourself. Disappointingly the 90 minutes leave the “who” and “why” elements of the equation to the end: they’re rather rushed through and we don’t really get much conclusion. Maybe there’ll be a sequel that addresses this. Naturally I went and googled for a bit to see what else is around to support some of this stuff. There’s a lot. Do I believe what I’m being told? Well, the evidence was presented in the film pretty convincingly. I feel pretty sick at the thought of it being true. I guess I need to research the other side to the argument. First things first. I KNOW I used the word “movie” and not “film” in the title of the post. You may argue that I’m British, it’s a British blog and therefore I should use UK English not American English. But can any blog be termed as being of one particular country? And given that most speakers of English are not from the UK then I thought I would take a more international approach – that and the fact that dumb Americans get easily confused. Joking. 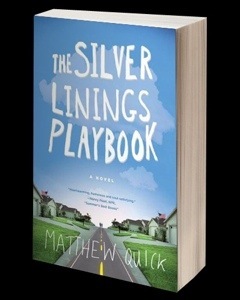 “Am reading The Silver Linings Playbook. Seen the movie but the book is, naturally, better. Much more touching and connecting. A proper post will come when I finish it”. Following on from my last post it seems I’m not the only one with this question in my mind. 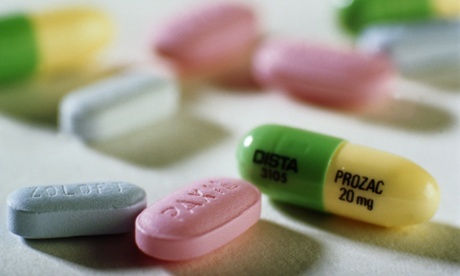 See the link belowfrom The Guardian as part of a study into the experiences of patients (and doctors) in the use of drugs to fight depression. I’ve been prescribed quite a few meds since I first encountered my monkey. Citalopram, sertraline and mirtazipine all fell by the wayside a way back. The first two gave me the shits and mirtazipine, although wonderful at getting me to sleep made me feel too groggy to accomplish anything much the next morning – not a whole lot of good when you need to get two kids up, dressed, fed and out the door. Oh, that and fact that it gave me the most voracious appetite for all the wrong foods late at night – carbs and sugar – which meant I put on a tonne of weight. My faithful informer across at CRAZYMEDS refer to Mirtazipine (Remeron) as the legal version of canabis when it comes to getting the munchies. 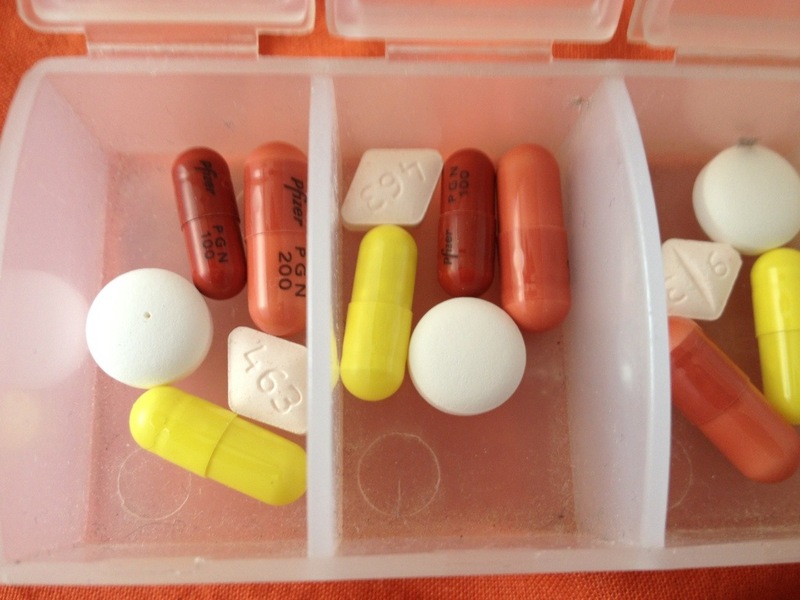 I found a bit more success – or at least it seemed as such – when I went onto a combination of pregabalin (Lyrica) and the nasty venlafaxine (Effexor). I made progress and got discharged from the care of my CMHC. More recently though, after a further relapse, yet another drug has been added into the mix – lamotragine (Lamictal). First described to me as an anti-psychotic, which scared the crap outta me, I then learn it’s also used as a mood stabiliser – seemed well overdue to me to be honest. Anyway. Point is I now feel like a walking chemist (I also take omeprazol to deal with the heartburn caused by one of the other drugs) and honestly I started to wonder ‘what happens if I don’t take these anymore’? Would I feel the same anyway? Are my cyclical depressive episodes just that? In other words are they gonna come and go regardless of whatever concoction I’m on at the time? Or even if I’m on none at all? Seems my psyche is happy to go along with this theory too – either means I’ve been wasting everyone’s time or she’s proving a point or none of these meds are worth the plastic they’re bottled in. Jury’s out right now because we aren’t testing out the theory for a little while yet. Would love to hear from any other lonely souls out there who probably aren’t reading this what their thoughts are on this. Sharing is caring people.